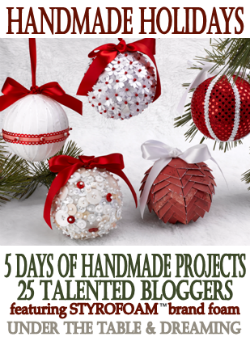 I was so happy to be a part of Stephanie's handmade holiday's event! 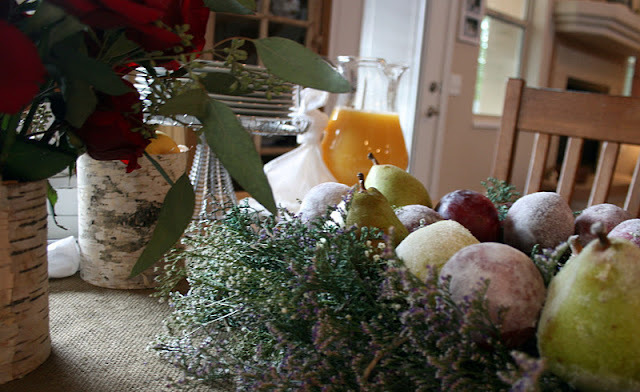 I'm a lover of this season and was excited to be inspired as we all got to take a peek at new holiday decorating ideas. I am now posting this on my personal blog as well. Entertaining is a colorful and beautiful way to celebrate the gathering of friends, and is highlighted during the holidays. 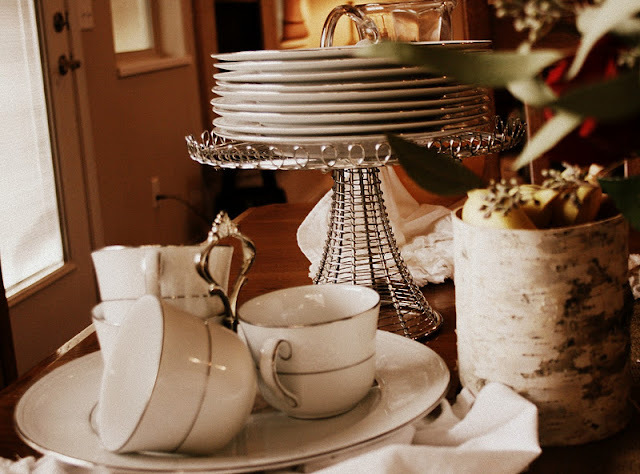 Today I want to share a sweet holiday brunch table and whisper ideas on how you can recreate this buffet on your own coffee table in front of your sparkling tree. 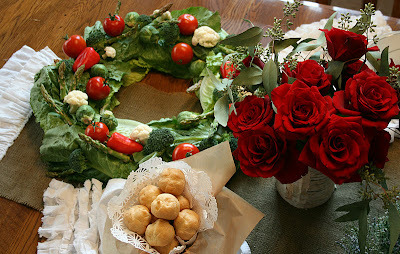 Instead of fancy silver serving trays, I used wreaths of STYROFOAM™ Brand Foam to present food! I used a large wreath for the veggies and a medium sized wreath for the sugared fruit. 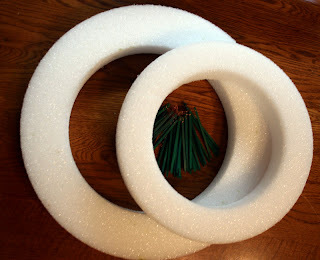 STYROFOAM™ Brand Foam serves as an ideal tool and foundation in SO many projects. 1) For the veggie wreath, take a larger wreath of STYROFOAM™ Brand Foam and use toothpicks or floral pins to secure large green leaf lettuce to the wreath. 2) Push toothpicks into the ends of washed veggies. Peppers, tomatoes, broccoli, and asparagus work well. 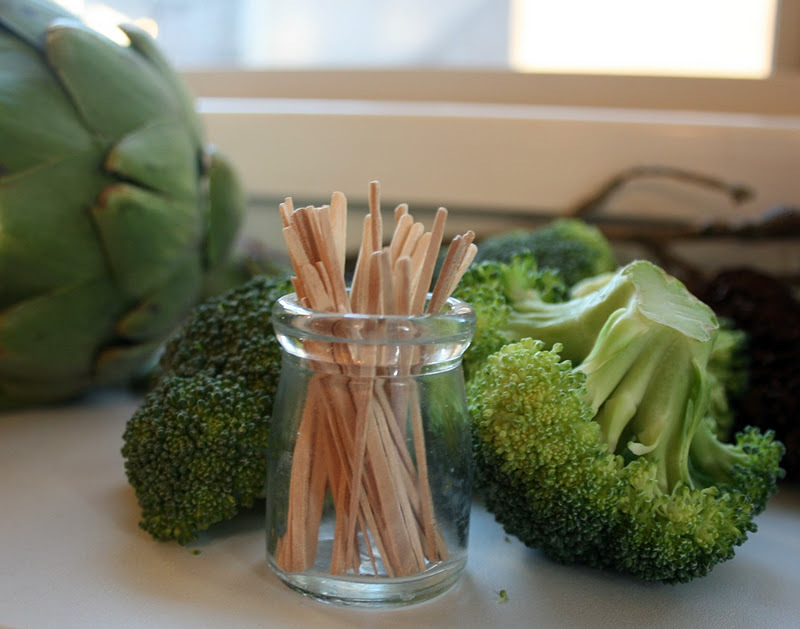 These veggie pieces can easily be pushed write into the STYROFOAM™ Brand Foam. Arrange as desired. 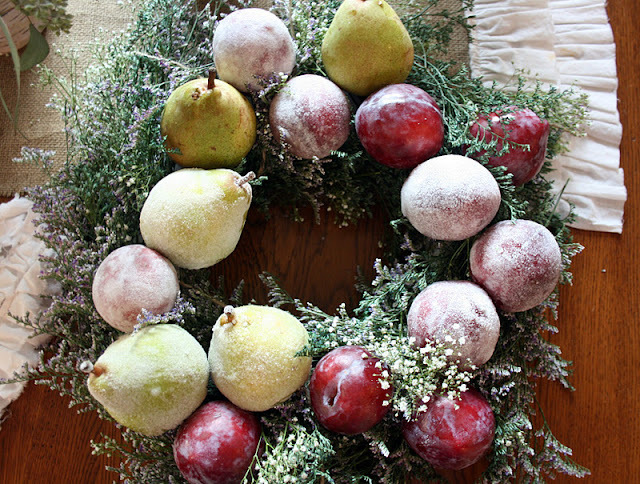 3) For the fruit wreath, tie floral greens (like baby's breath) around the wreath of STYROFOAM™ Brand Foam using twine. Leave some open areas on the top of the wreath to place the fruit. 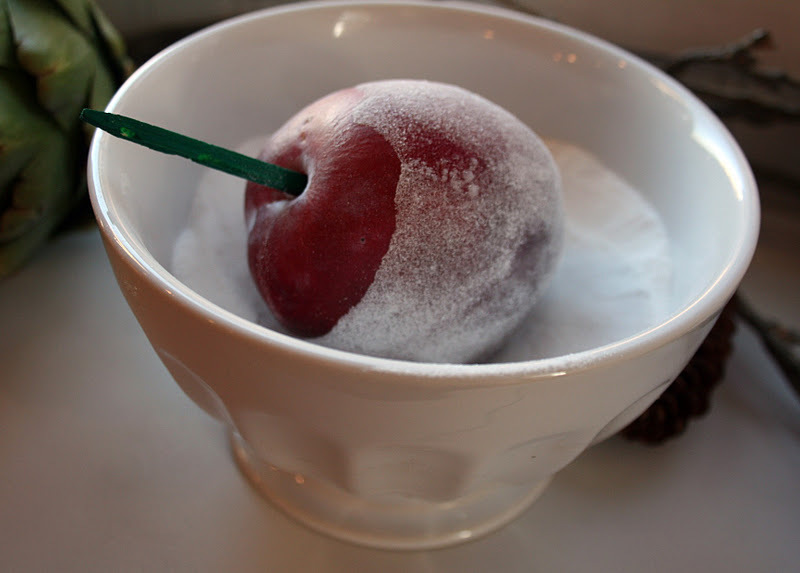 4) The sugared fruit needs to be prepared ahead of time. Heat 2 cups of water and 2 cups of water in a saucepan until sugar dissolves. Remove from heat. This is a "sugar paste" to use in step 6. 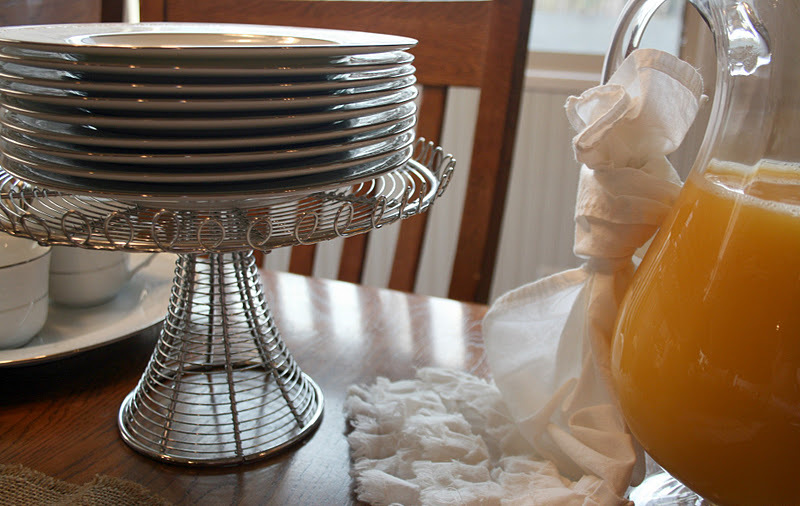 5) Wash fruit and gently press floral picks (wire removed) into to bottom of them. Pierce and place some of them into the STYROFOAM™ Brand Foam. 6) With the remaining fruit, brush the water "sugar paste" onto some fruit pieces then quickly roll in superfine sugar. Set on wax paper to dry for 30 minutes or more. 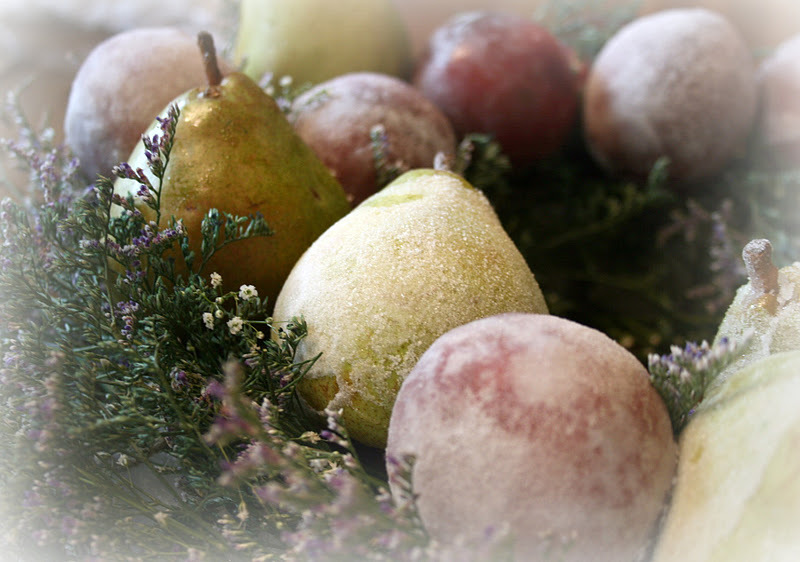 Then add the sugared pieces to the fruit wreath after they're dry. It also adds a delicate bit of pretty to your decor! 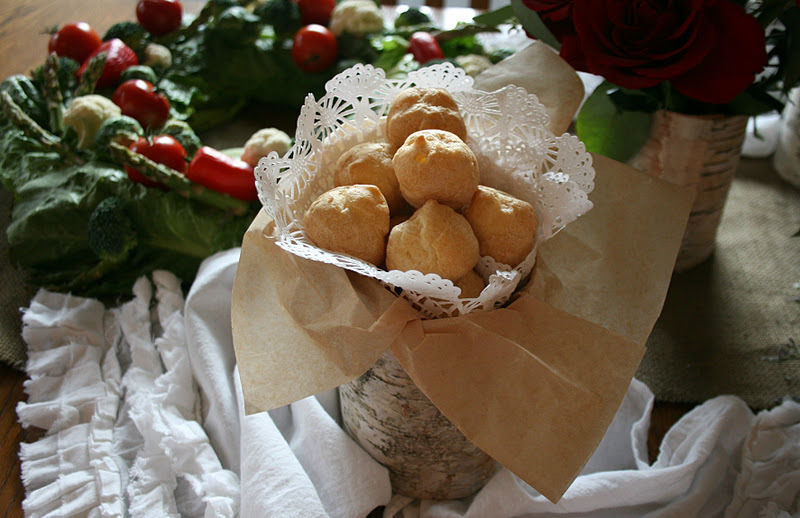 These work perfectly in a brunch buffet. 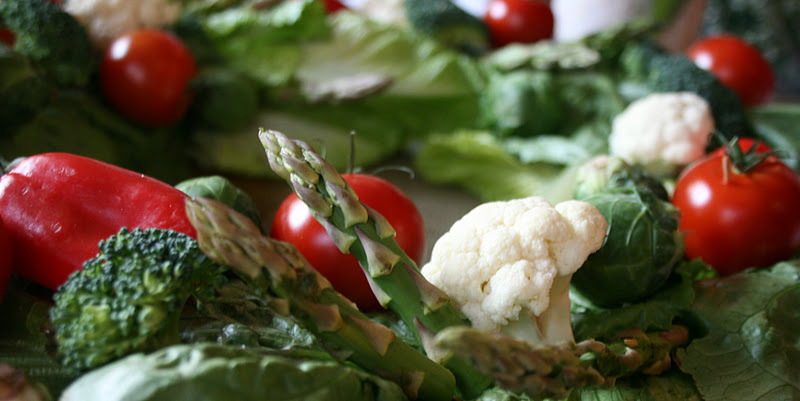 Guests can pull out whatever fruit and veggie choices they wish as they fill their plates with early morning goodness. 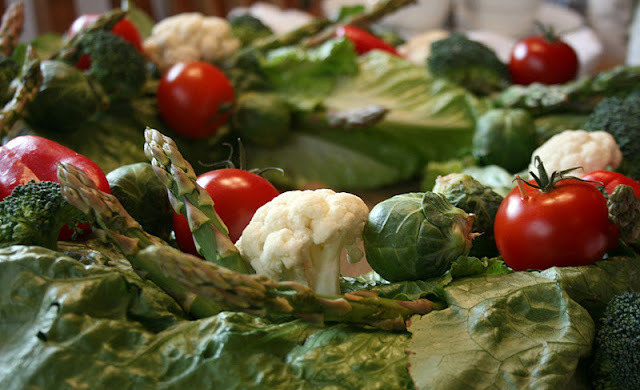 You can also add a bowl of veggie dip to the center of the wreath if desired. 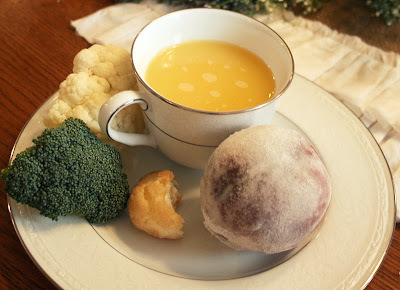 into a charming holiday brunch. 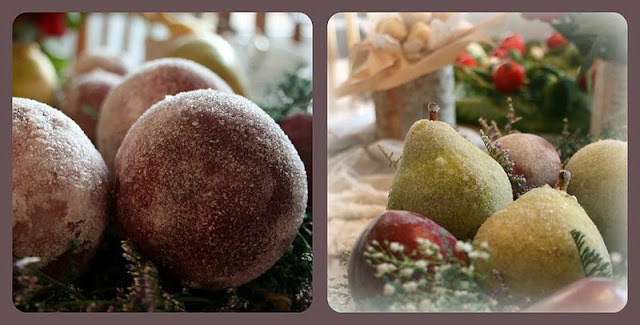 for inviting me to share in some holiday inspiration for 2011! What an awesome idea!! I'll have to try this...wonder if it would work with styrofoam trees? Found you from The Lettered Cottage Link Party!! You have the best ideas..It's just beautiful..Have a great week.. Very pretty! I love the fruit. Wow. How gorgeous. I haven't done sugared fruit in years! It is so pretty, though. This is such a cute idea. I've never seen anything like it. Breakfast and brunch are my favs! 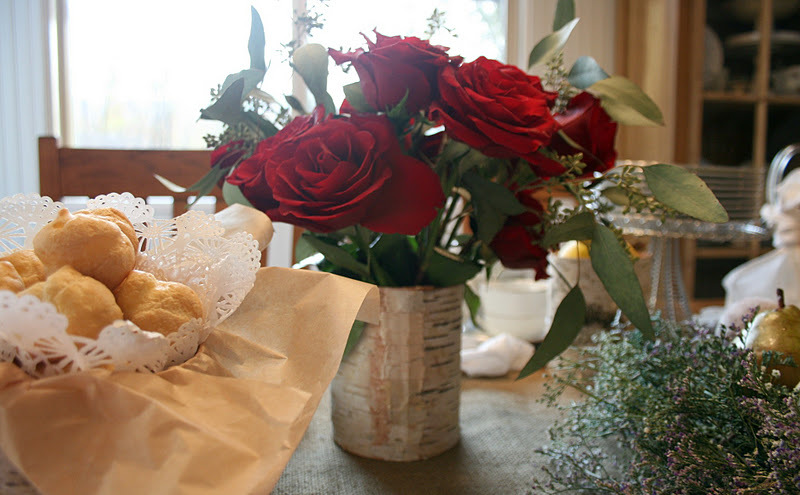 So many ways to get creative and give loved ones a fresh, energized start to the day! Lisa these are outstanding ideas! And your table looks absolutely stunning! Absolutely lovely! 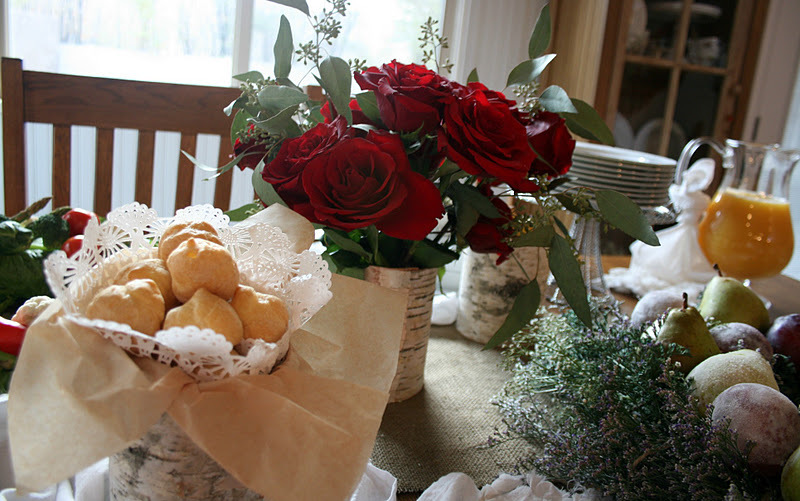 Not just the wreath, which are gorgeous, but the look of the whole table is just so inviting. I love the birch vases. Great job! I love these! 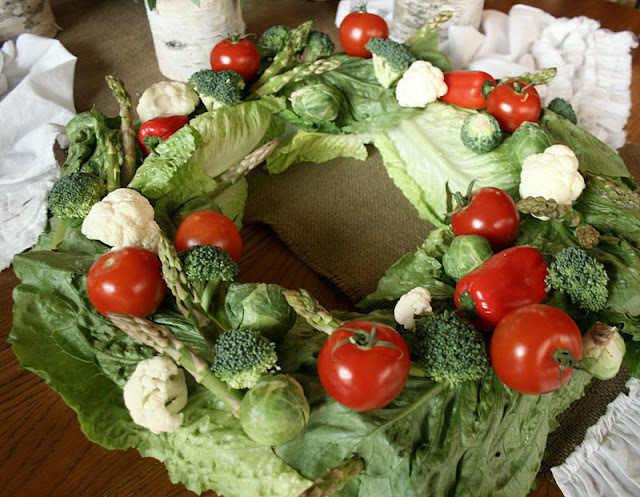 I have seen fruit wreaths, but the fresh veggie wreath is so unique! I am going to have to try that. Thanks for sharing. Well how cute is that! 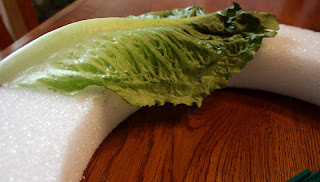 I like how easy the sugar fruit looks to make, but how impressive it turns out. 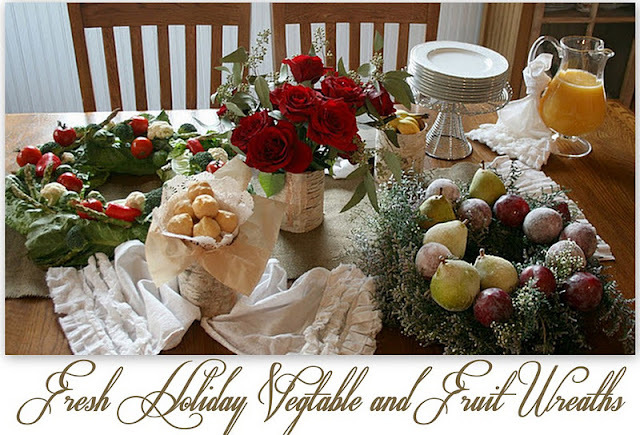 Marvelous breakfast buffet and thanks for the tutorial on the wreaths. Wow! Happy Happy and a Merry Merry to you! Wow ! Great ideas! Thanks for sharing your lovely table! 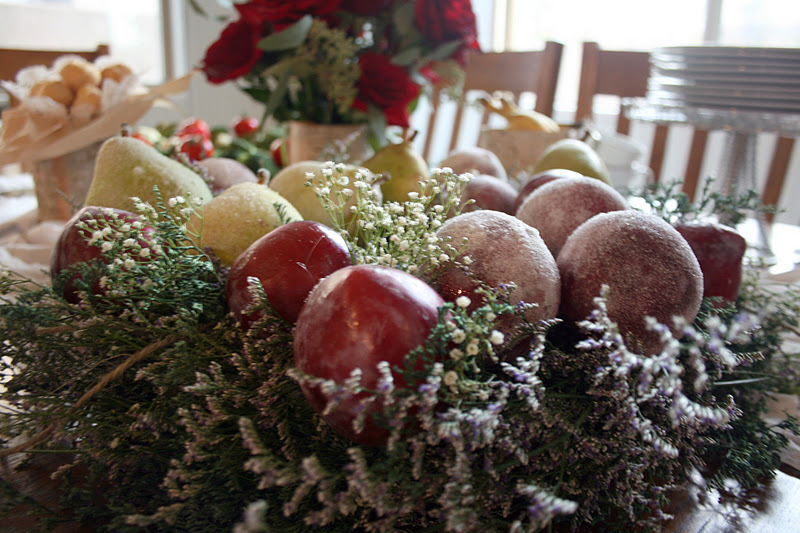 How clever and what great centerpieces for a holiday buffet of any kind -- whether brunch, lunch or dinner! Incredibly creative!!! You must have the patience of a thousand angels!!! 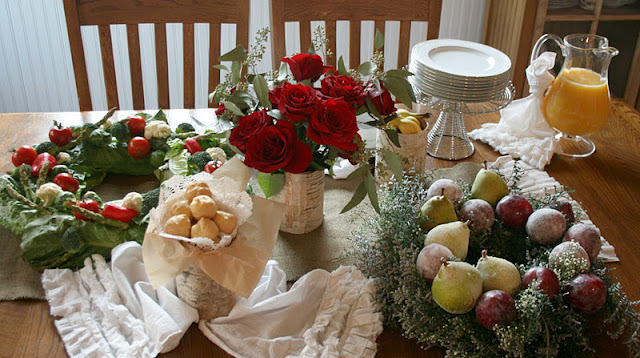 :-) I love the idea of doing this for a buffet table. I'm going to tuck this away for future use! Have a great week!